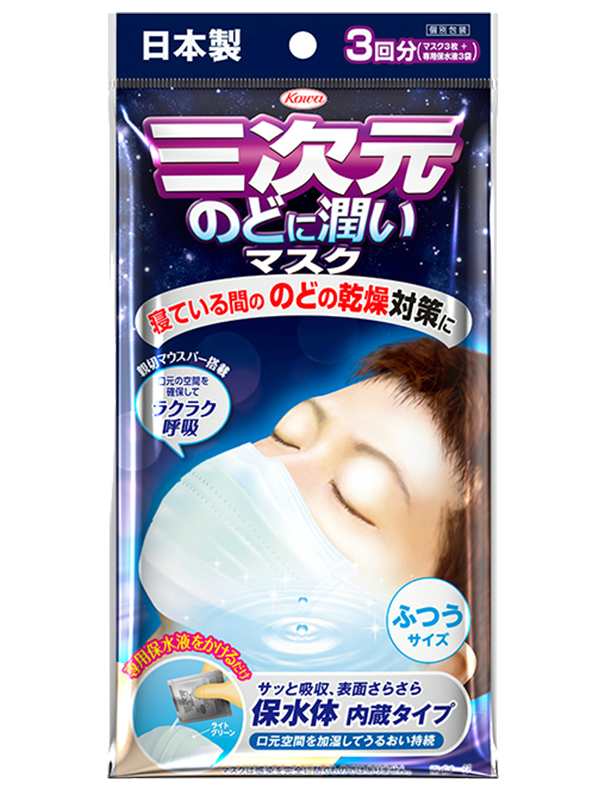 Protect your lungs from dirty particles in the air with Sanjigen 3D Face Mask. Utilizing a snug design, comfortable materials and coupled with several layers of filters, this mask can block most particles from being inhaled, while being comfortable for all day wear. Utilizing a unique production process, the mask has a three-dimensional structure that keeps the space between mouth and the mask for easy breathing and mouth movement. Soft ear loops lessens pressure on the ear, reducing discomfort and ensuring comfortability for long periods of use. Utilizing a plastic nose fitter, helps the mask contour to the nose comfortably; coupled with the Anti-Fog Film, to help prevent glasses from fogging up.